SOUTHFIELD – If American manufacturers want to solve the talent shortage on their factory floors, they’ve got to make manufacturing work something people aspire to, not settle for. She also described the changing nature of fashion manufacturing, with the fashion companies of yesteryear “putting all our cash flow on the shelf” and then trying to convince consumers to buy, vs. tomorrow’s online, custom-order fashion industry. Guarino also urged the manufacturers attending the event to tear themselves away from operations so they can attend training and networking events, which she said is an integral part of the job of the manufacturing manager. The next quarterly Small Manufacturers Roundtable will be held Friday, March 16. Check the events page of the LTU Collaboratory website, www.ltucollaboratory.com, for details on this and other Scale-Up for Success events. 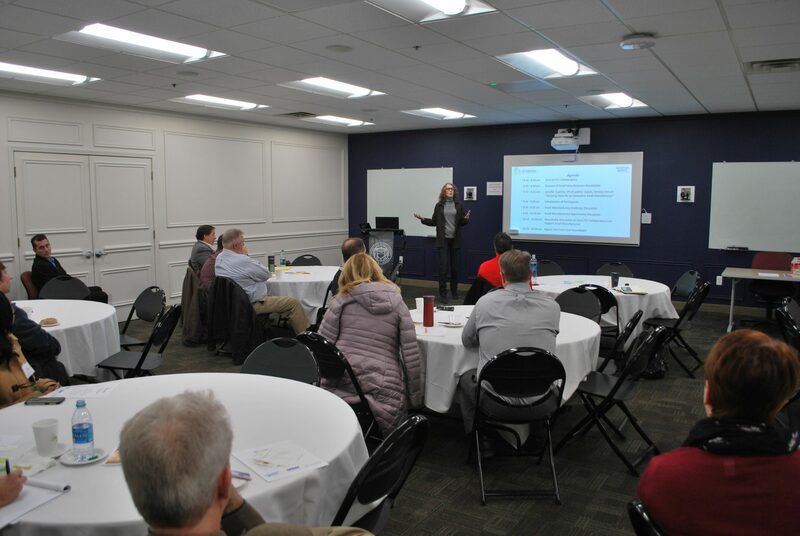 The LTU Collaboratory is on a mission to accelerate the growth of Southeast Michigan’s small manufacturers and hardware entrepreneurs by providing access to key resources specific to their unique needs. The Collaboratory provides leaders of these businesses with access to mentors, workshiops, cutting-edge technologies, corporate connections, college students, events, work space, and a collaborative community of peers. Additionally, Collaboratory clients will soon have access to a 6,200-square-foot business accelerator featuring additional work space, training facilities, and a manufacturing technology lab.